Hello and Thank You for your interest in PPAF's 2017 Speed Networking. 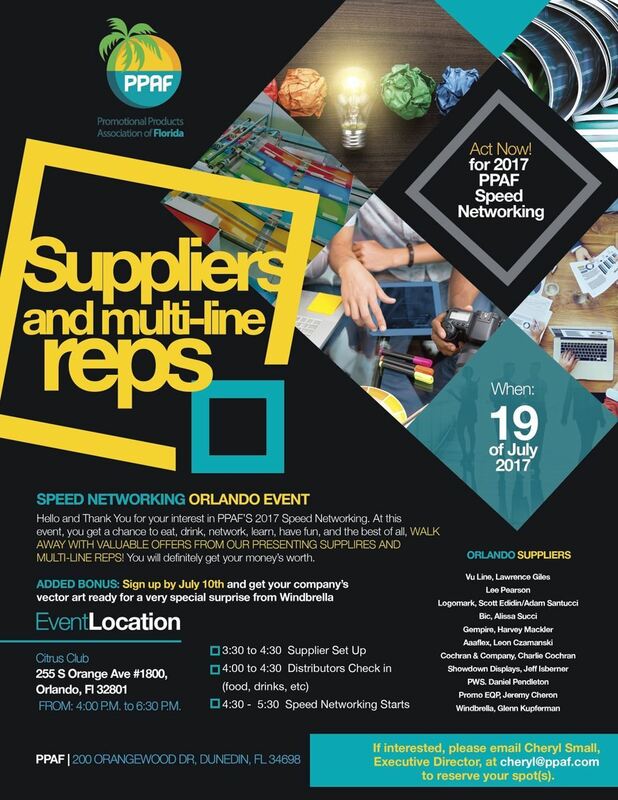 At this event, you get a chance to eat, drink, network, learn, have fun, and best of all, WALK AWAY WITH VALUABLE OFFERS FROM OUR PRESENTING SUPPLIERS AND MULTI-LINE REPS! You will definitely get your money's worth. Exhibitors: Bic / Norwood, Vu Line, Lee Pearson, Gempire, Perry Ellis, Cochran & Company, Showdown Displays, Promo EQP, Windbrella, and Tekweld.